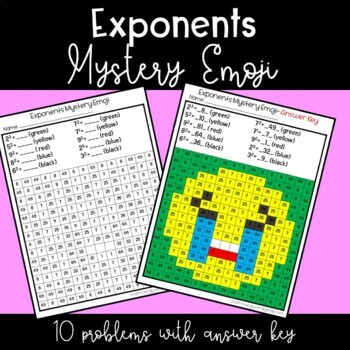 This fun activity allows your students to review evaluating exponents independently while uncovering a hidden picture. 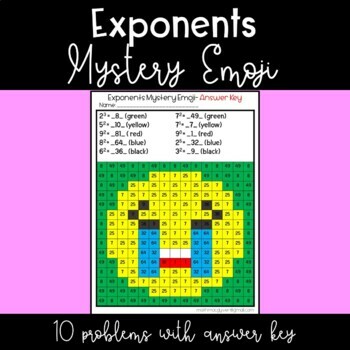 This resource includes ten simple exponent expressions. 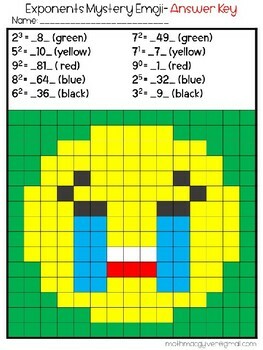 Students will evaluate each exponent and coloring the numbers in the grid accordingly. 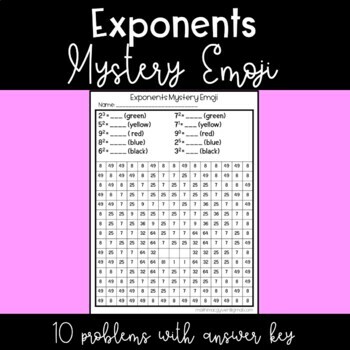 Answer key and an answer key without the numbers is included for easy checking.